It’s always scary being an audiophile. You never know when a manufacturer will make your pair of beloved cans second tier to what they were when you bought them. Not only that, it seems like at the top end, minor improvements and iterations of flagship headphones cost hundreds and sometimes thousands more than their demoted models. 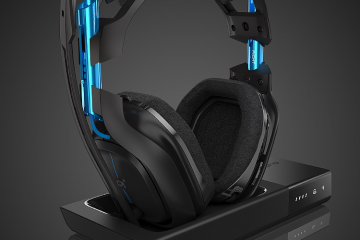 HyperX targets gaming so when I first listened to the Stinger a few months ago, I was blown away by the sound quality of such a budget oriented headset. After that review I was very keen to hear the rest of their lineup. The Cloud’s and Revolver had been out for awhile and so I had read impressions of what they were like. For audio gear I review I like to go in without reading or hearing other impressions of a product, before listening to and testing them myself, so I don’t have any coloured interpretations of what their strengths and weaknesses are. Enter the HyperX Revolver S. A new and improved iteration of the original Revolver. I had heard the biggest complaint about the original was that the metal headband was reverberating sound and was almost an unavoidable side effect. This ‘S’ iteration has inserted rubber dampeners in the headband on either side above the ear cup presumably to absorb these vibrations. I can say that at least from the fit on my head, that I noticed none of the reverberation previously mentioned. Now whether this is because of the shape of my head and how it sits on it or not means your experience may vary but for my use it worked as intended. I had such high hopes for the audio quality that the included driver-less 7.1 surround sound dongle didn’t even cross my mind. Plugging straight into the audio ports of my work computer didn’t disappoint. It was almost too good. It’s sound signature seemed so familiar to me. The detail in the treble and the wide sound-stage were so uncannily recognisable to me that I had to get up and get my co-workers to have a listen. Not sure what witchery HyperX had cast, but we all came to the conclusion that this pair of headphones was punching way above its weight division. Never has a gaming headset made me want to rush home and do some A-B testing with my $1500 audio setup. The HyperX Revolver S had me really scared. My beloved Denon D5000 modded for balance and powered by a hybrid tube amp had a sound signature that the HyperX headset seemingly mimicked. It taunted me agonisingly. It wasn’t till I got home and sat down for a good old listening session that I calmed myself. It wasn’t better, but it came close enough to have me sweating bullets. The highs were good but not as refined. There were ever so slight distortions that without direct comparison I wouldn’t have noticed. The midbass and lower bass weren’t as tight and leaked into each other, and the sound-stage was narrower. Not that it’s narrow in the slightest, but just smaller when compared to the auditorium that is my modified D5000. Without a doubt, in a travelling LAN setting, I’d have the HyperX Revolver S with me. The microphone was good enough, although it won’t replace a proper condenser setup for a streamer. Luckily for me, it’s removable. But in a pickle it’s more than capable compared to many other similarly priced headsets on the market. It’s also noise cancelling but I’ve personally never experienced background sound interfering with my gaming (I use push to talk). Something I think HyperX could improve is a microphone monitoring option so you can hear for yourself the audio quality you’re transmitting in real time. It also helps to stop you yelling when you can’t hear yourself. No biggie as there aren’t many other headsets that do this but here’s hoping it makes its way into their future headsets. Do I feel like I wasted money on my expensive setup? After comparing I can safely and gladly say no. But I likely would’ve thought more than twice about it if I had this to compare at the time. The HyperX Revolver S is THAT good and if it hits retail channels priced anywhere near what the original iteration came out at then this is an absolute no brainer for anyone looking for the be all and end all for their gaming setup. Did I mention it’s got a driver-less Plug N Play USB dongle for 7.1 Dolby Surround Sound? Compatible with PC and PS4? Yes it’s got that. And a TRRS 3.5mm plug for tablets and smart phones(not iPhone 7…), Nintendo Switch, Xbox One etc..? It’s got that too. It’s good. Get it. Disclaimer: A review sample was provided by HyperX | Respawn Ninja is owned by Mwave Australia, however we retain editorial control over reviews. Since pricing was not provided, we’ll update the review when it’s released.